Plastics are really vital in many aspects of today’s modern life. These are highly beneficial to the whole world as they embrace various important sectors like health and nutrition, transportation, safety and security, sports, innovations of industry etc. Reportedly, in the US, around 374 billion dollars is how much the plastics industry makes in the yearly consignments. Moreover, it employs approximately 900,000 workers every year which shows the vastness of plastic industry. 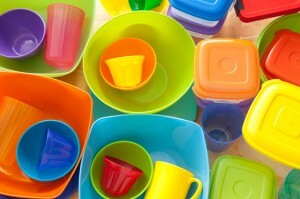 In the United States, the plastics industry is the third major manufacturing industry. And, this is completely acceptable as very important thing is made up of plastics, be it an iPod, a computer or even other household articles. Plastics are highly flexible as well as adaptable and can be molded into any shape and size. This quality of plastics enable them to be used in varied ways making the world better as well as safer for the human beings. The plastic products, which were made out about 20 years back can be recycled even today and this is certainly an eco-friendly attempt. SPI (Society of Plastics Industry) after its realization formed the resin code numbering system in 1988 for bottles as well as containers. For such a significant industry, news and updates keep popping up every now and then. Recently, it has been reported that the announcement has been made by the ACC or The American Chemistry Council a new group has been formed that will work towards the conversion of non-recycled plastics into the useful petroleum based products. An alliance called Plastics-to- Oil Technologies will take up the responsibility to increase the awareness of this technology’s benefits in the public and also help in expanding the membership in this field leading to the formation of good network of allies. On January 2014, a specialty films producer, BJK Flexible Packaging, in Louisville, KY endeavored to introduce in 30,000 feet square, a 5 layer Blown Film Line from Reifenhauser Inc. to increase its film production capability. Reifenhauser Inc. delivered the turnkey blown film system to the BJK and got the new line’s installation managed by the employees from its headquarters I Wichita. After taking in consideration the high consummation of charcoal by the Brazilians, Braskem along with packaging makers, Acetech as well as Charcoal producers, Carvao Cacique, decided to develop a plastic packaging of the materials with good quality of graphics printed on the packaging to allow for easy handling of the packaged products. It will combat the problems the Brazilians retailers and customers used to face while handling the packages. These used to be too vulnerable that material in them used to come out and make the stores as well as homes untidy. Brenntag has declared that it has extended its present cooperation with LUCOBIT AG to distribute polymers to the cable and wire industry all over the France. It now includes Spain and Poland as well. It has been reported that high quality flexible polyolefin based polymers will be distributed. Understanding the hazards that might be caused to the people health and environment by oxo-biodegradable plastics, a committee of French National Assembly has proposed to impose a ban on these kinds of plastics. However, it looks like an attempt to replace oxo-biodegradable plastics by bio-based plastics to increase its market in France as it is comparatively less useful than oxo-bio one.